First things first. Why raise funds? This seems like an obvious question but you need to be clear why you’re looking to raise in order to come up with an effective game plan and determine your best funding option. The bottom line is that you should raise to accelerate growth and in order to optimize market timing. You don’t raise as a way to test your idea. It’s about explosive growth and getting quickly to an exit. And when it comes to timing, wait until you’ve come up with a working prototype and developed your product before you seek external funding. If you don’t have a realistic exit strategy, stick to bootstrapping for now. Investors won’t be interested if there are no visible potential exit pathways. There are different paths to getting funding, but the stage your startup is in, your business model and operating dynamics all determine your optimal funding strategy. There’s plenty of capital out there, but there’s also a lot of competition for startup funding. According to Shayne, only 1 out of 1000 business plans might get VC funding. His best advice: take capital where you can get it. Friends and family. These are usually the first sources entrepreneurs tap. If you go this route, be careful to make the stakes clear: i.e., that they could lose their whole investment. VCs (invest other people’s money by raising funds from institutional sources). Because their investments are bigger, VC investors will try to minimize risk and maximize their reward. They will want board seats and a say in decision-making. Make sure you understand what those expectations are before you close a round of VC funding. Crowdfunding. This can be a great way to test your product and get customer feedback. But don’t count on using it as your main source of funds as the amounts raised are fairly low. Here’s a link to a post I wrote a while back on crowdfunding. Vendor funding. If your product is capital-intensive this can be a good financing option. Fundraising is a full-time job. Think of it as a business development process and plan for your raise to take up to 6 months. Expect to be diluted by 20-25% with each equity round. Seed stage valuations can be all over the map. While $2-4 million is typical for pre-money valuations, they can go as high as $8 million for top-flight and/or big name management teams. Convertible debt. Be careful how you price this. Initial mispricing can be extremely painful to early investors if you have to reprice in when you’re negotiating later rounds with outside funding. They’re typically issued at a 10-20% discount to equity depending on the timeframe; higher range is for longer timeframes. Y-Combinator’s SAFE (Simple Agreement For Equity) is a quick way to generate deal documentation, with very little downside for founders from Shayne’s perspective. Venture debt. Customer financing can minimize your risk, providing more cushion to meet your milestones. Get introduced to investors. Coworking and incubator spaces are great sources as are lawyers and bankers. Target VCs. Do your research to find the right fit and avoid wasting time on non- starters like not matching the fund’s return profile, product areas, or preferred industries. Choose lead investors with deep pockets. 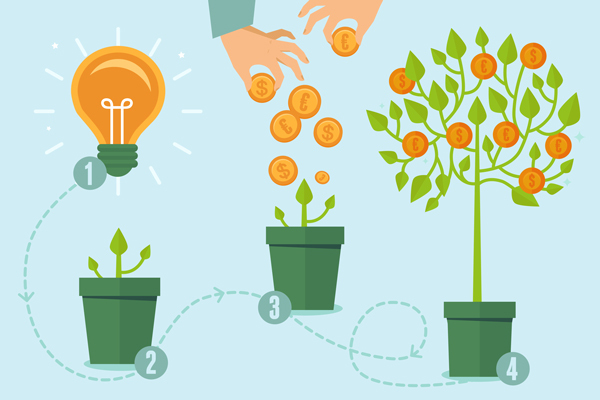 Your lead investors need to be financially able to support you through later funding rounds. Build your value proposition. Do this before approaching investors; and remember to consider what value they can offer you beyond money. Choose your partners wisely. It’s a long relationship. We get a lot of questions on whether founders should present bottom-up or top-down financial models when working on startup fundraising. Build your financial model from the bottom-up showing what your average sale looks like and how it feeds into your top level summary financial picture. Saying that you have no competitors is one of the biggest mistakes you can make. There’s always competition, even if it’s unrelated alternatives for your customer’s time and money, so don’t try to gloss over this aspect. Know your individual competitors and be able to speak to their key strengths and weaknesses, the relative attractiveness of their platforms as well as the overall competitive landscape. Images are a great way to convey information. Use before and after slides to hit home with investors.